What could be better than having your very own wedding planner? 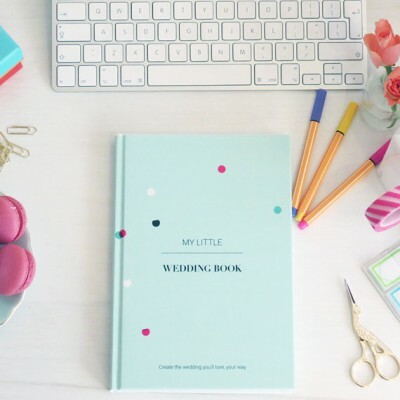 This notebook from My Little Wedding Book is such a cute way to record your wedding planning memories. It’s jam-packed full of fab advice and checklists. It’s something that every bride will need! 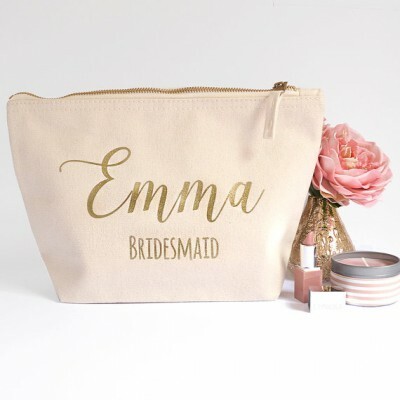 I love the idea of these bridesmaid make-up bags from Hanmade Desins UK. They’re a great way to say ‘thank you’ to your girls. 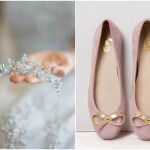 Plus, they’re perfect for getting ready with on the morning of your special day! 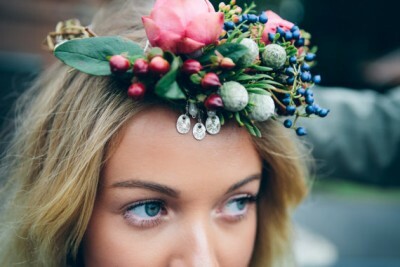 Who doesn’t love a glorious flower crown? This one from Gilly Page Jewellery will add a pop of colour to any wedding outfit. It’s made for a fashion-forward bride with a boho style. 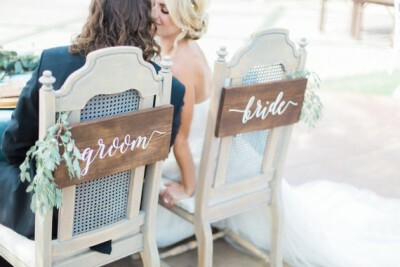 The Duo Studio sell these gorgeous ‘Bride and Groom Signs’, and they make perfect chair covers for the happy couple. 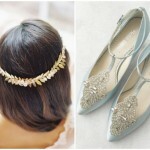 Not only will they make a statement, they’ll look gorgeous in your wedding photographs too. Stuck for table centrepiece ideas? 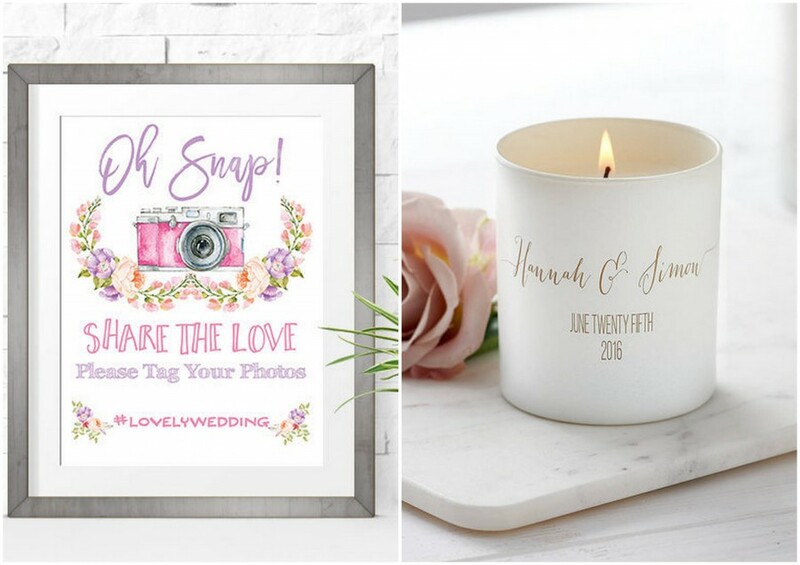 Not sure how to decorate your wedding gift table? Then look no further than Lily Belle London. 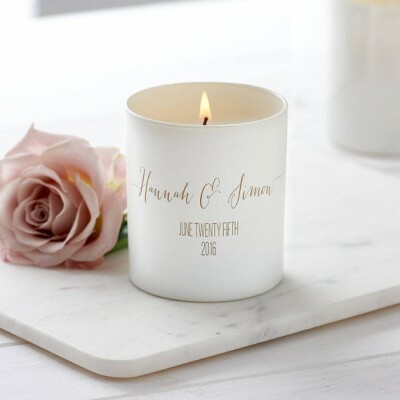 Personalise a wedding candle and use as a simple table centrepiece. Alternatively, they’ll look beautiful dotted around a wedding card or gift table. 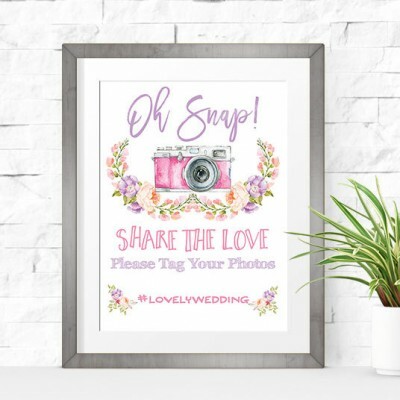 The majority of weddings will end up on Instagram or Facebook, and we love the idea of using signs to let your guests know your hashtag. Using hashtags on social media is a great way for your guests to create an ‘online album’. You can see all the photographs your friends and family have taken. Check out Sweet Dreams Creative for more gorgeous designs. 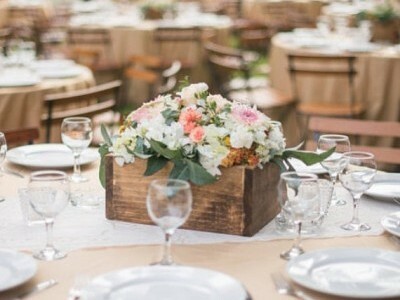 These wooden crates from Pigeon Point Rustics make gorgeous table centrepieces, and you can decorate them to suit your wedding style. Fill with beautiful blooms for a floral touch – perfect if you’re planning a country wedding! A great alternative to the traditional wedding guest book, this drop top guest book by Hugs Hearts is seriously unique. 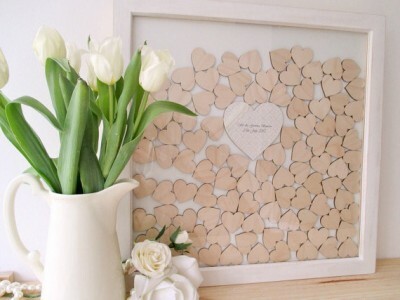 Your guests can write a message on a heart, and then pop back into the frame. You can hang it up in your home as a lovely reminder of your special day. 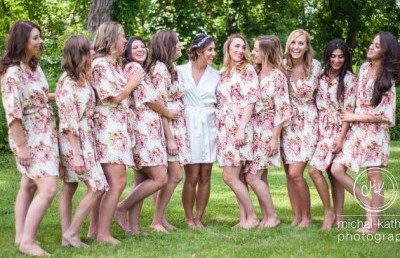 How cute are these silk, floral dressing gowns from For Bride. Your girls are bound to love them, and they’ll make getting ready on the wedding morning extra special. Your bridesmaids can keep them after your big day as a wonderful memory of your wedding. They’re one of my favourite wedding finds from Etsy ever! 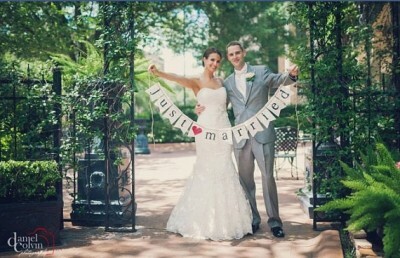 The ‘Just Married’ burlap bunting from Butterfly Above is an extremely versatile wedding find. Whether you use it as a photograph from your thank you cards, or hang on the back of your wedding getaway car, it’s guaranteed to look fab.